Picasso wanted a series of horizontal lines with an eye-pleasing sequence of colors. 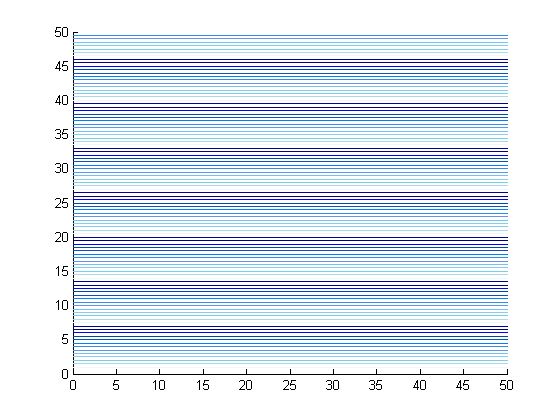 % this plots horizontal lines for each y value of m.
egads! that is rough on the eyes. 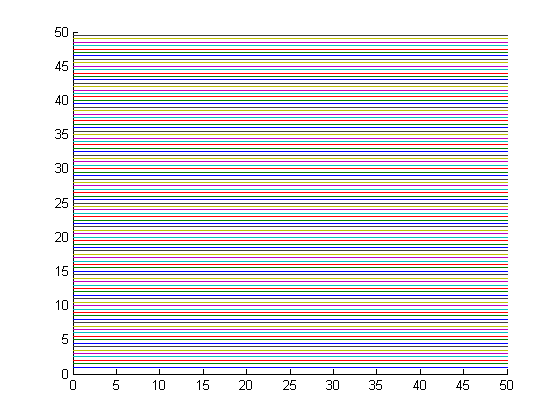 Picasso figured out a way to customize the plot color order for a figure! He used the cmu.colors function to create an array of colors, blues in this case in the order he wanted them plotted, roughly light to dark. see http://en.wikipedia.org/wiki/List_of_colors for a list of colors available, and install version 1.7 of +cmu. Now we make an array of the colors we want. Create a figure, and set the color order property. 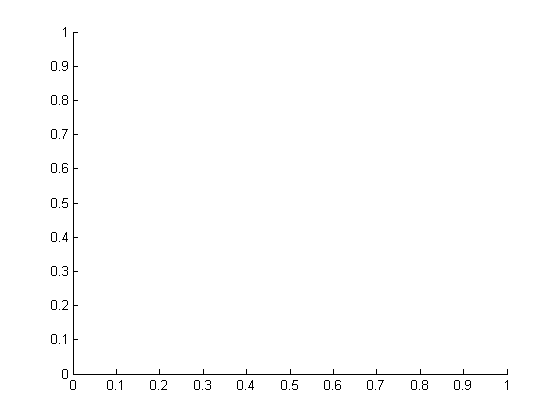 gca is a command for get current axes, and we set the ColorOrder on that axes. This is much nicer to look at! You can specify the ColorOrder for plots as described above. Picasso eventually gave up on Matlab as an artform, and moved on to painting.